Due to unresolved FPA Traders Court guilty verdicts against 4RunnerForex and 1LotSTP, the FPA recommends AGAINST dealing with all brokers belonging to Fx Systems. FxSytems, it's associated brokers 1LotSTP, 1PipFox, 2PipFixed, 4RunnerForex, and LoyalForex are all considered to be Scams by the FPA. Their fake regulator NFACS.org is also considered to be a scam. November 2011: 4Runner Forex is now owned by FX Systems. All of these websites are down. The companies appear to be out of business. The FPA cautions traders to be on the lookout for new websites run by this group. I see that 4runner forex website is no longer working, all accounts seem to be closed down and there is no response to emails - I have/ had an account and after seeing SCAM rating on here now it makes sense - need feedback on how to apply to get $ back and action I need to take against 4runner forex? 4RunnerForex is part of the criminal organization "FXSystems". All these companies are not brokers, The only intention they have is attracting capital with high bonus program and never pay back the money. I lost more than USD 3000 with FXSystems. If you are trading 4RunnerForex, 1Lotstp, Loyalforex, 1Pipfx, 2PipFixed or FxSystems, stop wasting your time, they do not withdraw neither start capital nor profits. First, they reply to submitted support tickets with poor excuses, than they stop replying. DO NOT INVEST HERE. I lost my money and with this review I hope that no more people will lose money with these criminals. - I have opened several tickets requesting information on the status of the withdrawal. The tickets where ignored until I chatted with their helpdesk operators. The helpdesk operator told me that they were going to raise the priority on the issue at their accounting department. My ticket was reopened, a reply was added by an admin saying that I should have some patience. But again, nothing happened afterwards for the next two weeks. - I replyd to the ticket, but it was again ignored, so I went back to helpdesk (11 july). Another operator told me again that the priority would be raised and that I could send an email to the accounting department myself. The operator would not provide me any Phone number to the accounting department or give me someone in charge to speak to. They also failed to disclose any information on the procedure to file legal charges against the firm. - I sent an email to the accounting department yesterday, I'm still waiting for a reply. I am now fully convinced that they will not process my request without some external/legal intervention. I have escalated this issue to Traders Court. I would strongly advise other traders to stay away from this broker and the other brokers owned by FxSystems ltd.
FX Systems Ltd (4RunnerForex Division) is a SCAM ! I sent bank wire withdraw request to withdraw $2550.75 (Balance $2585.75 - $35 Wiring Fee) from my account at FX Systems 4runnerforex division and the withdraw request had been confirmed by FX Systems Client Services on May 6, 2014. I submitted several tickets asking the bank wire withdraw status since then, more than six weeks passed I still have not received the money from my account I asked for, got nor contact from its accounting department. I also have not received monthly statement of my account at end of May. Since they have same office address and same telephone number, you can expect they behave the same way. 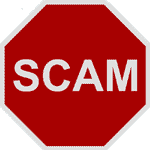 Beware they just opened many new support offices worldwide, try to put scam in a much larger scale ! i have been with 4runner forex for almost a year,but since i started i have all positive things that happend.I will always give them high marks and good/positive feedbacks.GOOD JOB!!! Very much success was had with steady winner and wall street robot. They make my account fast with much ease. They make my payment to me bank much fast with much ease. Much happy to referral my friend and you. 4runner that is managed by FXsystems ltd is criminal broker. I deposited 5290US dollar I opened swap-free account at 4runner and I started to trade. In this broker I opened position one time. I have had short position AUD/USD on February 2012. I was intent to have long time. About on 6 March 2012 I got profit they stopped email me daily confirmation. ( So now I have just evidences I got only 159.22 US dollar profit but I got 4432.42 US dollar profit) On April 2012 position had profit and I closed my position. I decided to withdraw money with profit but no answer from broker in term of 2 weeks. I was worry about withdrawal and I send ticket many times to send me money but they keep ignoring my ticket. After three weeks they send me my Liberty Reserve account but money amount to 5290US dollar I deposit a month before. They didn’t send me profit that is 4432.42 US dollar. And they cancelled my account. I could not open Metatrader and could not confirm detal. I open ticket complaining but they keep ignoring again and could not access 4runner’s home page from my computer in home. I have been with 4runnerforex.com for a year now and I must give them high marks. Deposits have been speedy and customer service never made me feel wanting. Execution is fast and slippage is low.Give them a try! I am fairly new to trading forex and from what I can tell this is a very good broker. I have read nothing but great things about this broker and their helpful 24/5 chat support really helped me get started with trading, which I'm most grateful for! You guys are great! excellant service, no slippage for me and I am regular scalper, 300:1 and NO NFA stupid rules. i think these guys will prosper in the future if they keep on the same mood helping their clients, staying with the true stp execution.